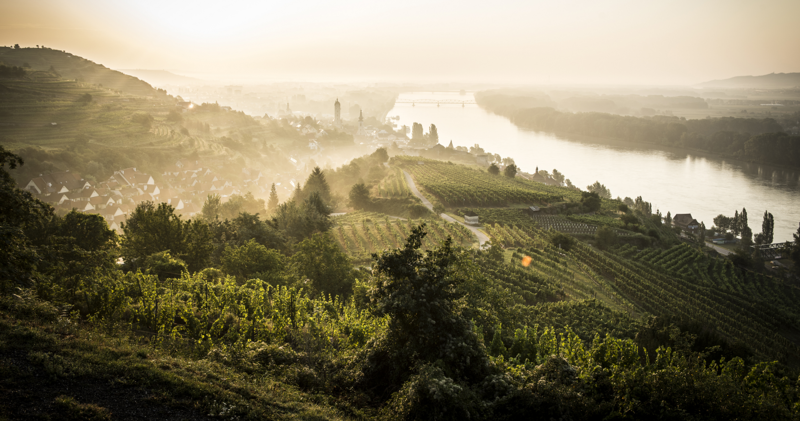 The city on the left bank of Danube and west of the river Krems is the center of the winegrowing area Kremstal in Lower Austria, The place was first mentioned in 995 as "Urbs chremisa". Already in 1305 Krems was elevated to the city and in the city law the connection to the viticulture by the addition "the honor of the city lies mostly in the vineyards" as well as with the name "Cittá del Vino" documented. For Hochblüte more than 50 reading farms (mutatis mutandis cooperatives) spiritual sovereigns from Upper Austria, Salzburg, Bavaria and South Bohemia in Krems and stone were economically active. In the 13th century, almost half of the Kremser vineyards were owned by the monasteries. 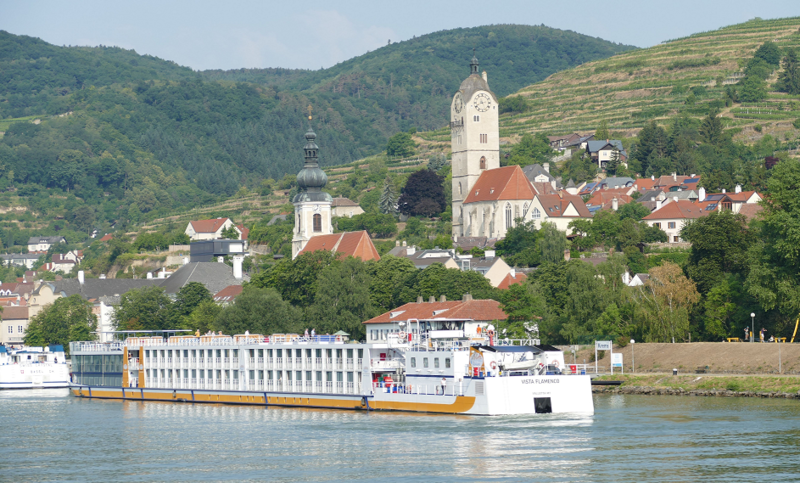 The city of Krems, with 100,000 liters, covered three-quarters of the wine exports of Lower Austria. At that time, a quarter of the city's population lived from viticulture. In 1875 a viticulture school was founded in Krems. To Krems count the districts Angern, Egelsee, Gneixendorf, Hollenburg, Krems, Rehberg, stone and Thallern. In 1614, the foundation stone of the Capuchin monastery and Marian pilgrimage place UND, which lies between Krems and Stein, was laid. The Danube overflowed because of weeks of rainfall and became the namesake. At the beginning of construction it was called "Claustrum ad undam" - the monastery to the Danube wave. Today, the "Weinkolleg Kloster UND" in the historic cellars offers beginners and professional degustators interested in wine the opportunity to taste over a hundred wines from all eight Lower Austrian winegrowing regions. This page was last modified at 1 October 2018 at 16:52.